Has your tax return been selected for an audit? Is the IRS knocking on your door? Learn how to beat your problems with the IRS with our guest, tax professional Daniel J. Pilla! Dan is a tax litigation consultant and for three decades, he has been the nation's leader in taxpayers rights defense and IRS abuse prevention and cure. Regarded as one of the country's premiere experts in IRS procedures, he has helped countless thousands of citizens solve personal and business tax problems they thought might never be solved. Dan Pilla has seen every type of tax problem and believes "there is no such thing as a hopeless tax problem." 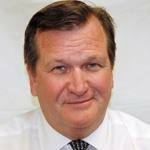 Has your tax return been selected for an audit? Is the IRS knocking on your door? Learn how to beat your problems with the IRS with our guest, tax professional Daniel J. Pilla! Dan is a tax litigation consultant and for three decades, he has been the nation's leader in taxpayers rights defense and IRS abuse prevention and cure. Regarded as one of the country's premiere experts in IRS procedures, he has helped countless thousands of citizens solve personal and business tax problems they thought might never be solved. Dan Pilla has seen every type of tax problem and believes "there is no such thing as a hopeless tax problem." If you have any questions, call in at TOLL FREE 888-627-6008! Daniel J. Pilla is a tax litigation consultant and for three decades, he has been the nation's leader in taxpayers rights defense and IRS abuse prevention and cure. Regarded as one of the country's premiere experts in IRS procedures, he has helped countless thousands of citizens solve personal and business tax problems they thought might never be solved. As the author of fourteen books, dozens of research reports and hundreds of articles, Dan’s work is regularly featured on radio and television as well as in major newspapers, leading magazines and trade publications nation-wide. Dan is a frequent guest on major talk radio programs where he is heard by millions of people each year. 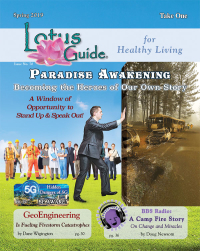 His fast-paced interviews provide hard hitting answers to even the toughest questions. His many media appearances include CNN, CBS, CNBC, Fox News, C-SPAN, the CBS Radio Network, the USA Radio Network and many others. His books have been recommended by prominent magazines and financial publications such as the Wall Street Journal, Money, Family Circle, Investor’s Business Daily and more. Dan has written or contributed to major articles for Reader’s Digest, National Review, Reason, USA Today Magazine and others. The Associated Press once commented that "Dan Pilla probably knows more about the IRS than the commissioner." The Wall Street Journal ranked Dan's book, The IRS Problem Solver, as the number one tax book in America. 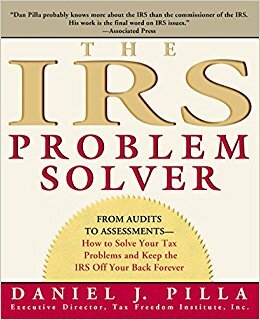 His book 'The IRS Problem Solver: From Audits to Assessments--How to Solve Your Tax Problems and Keep the IRS Off Your Back Forever' offers the first comprehensive guide to dealing with the most common IRS problems taxpayers confront, from face-to-face audits to fraud penalties. Pilla's book is an indispensable preventive tool for all who file their own taxes—and a necessity for anyone who's just received a notice that the wolf is at the door. Dan was a consultant to the National Commission on Restructuring the IRS. 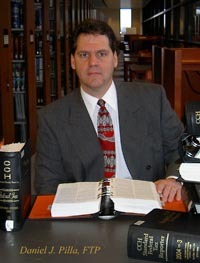 He works with numerous public policy research institutes and presented testimony to Congress on several occasions. His testimony to the Senate Finance Committee blew the lid off IRS abuse and led to many new taxpayers’ rights and protections. He is admitted to practice before the United States Tax Court. Dan Pilla has seen every type of tax problem and believes "there is no such thing as a hopeless tax problem." Let Dan's proven experience help you. Email him at expert@taxhelponline.com or call him at 800-553-6458 or 651-439-1606.